Short Biography Jiayu Zhou is an assistant professor at Department of Computer Science and Engineering, Michigan State University. Before joining MSU, Jiayu was a staff research scientist at Samsung Research America. 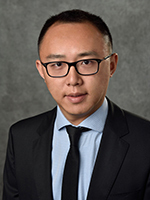 Jiayu received his Ph.D. degree in computer science at Arizona State University in 2014. Jiayu has a broad research interest in large-scale machine learning and data mining, and biomedical informatics. [Apr 2018] Call for Participation: 1st Int'l Workshop on Big Traffic Data Analytics (BigTraffic 2018), in conjunction with SDM 2018. May 5, 2018, San Diego. [Feb 2018] Grateful to receive NSF CAREER Award. [Dec 2017] Serving in the organizing committee of IEEE ICHI 2018. 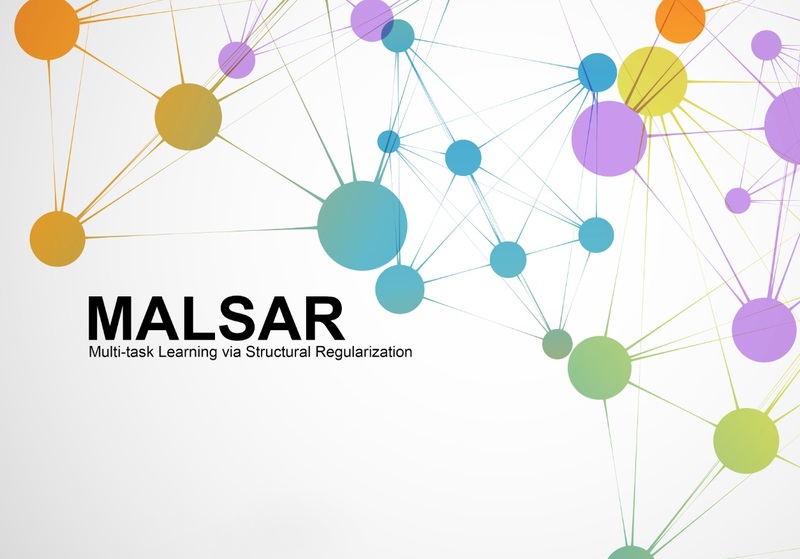 [Dec 2017] Invited talks on multi-task learning at Cornell University and IBM T.J. Watson Research Center. [Oct 2017] Established collaboration with VeChain Foundation on big data blockchain research. [Sept 2017] Received Didi Research Award. [Dec 2016] One paper received IEEE Big Data 2016 Best Paper Award. Congratulations to the authors. [Apr 2016] Student Qi Wang received ISBI 2016 Best Student Paper Award. Jiayu has a broad research interest in large-scale machine learning and data mining, and biomedical informatics. Design learning formulations and optimization algorithms to learn multiple related machine learning tasks, performing inductive knowledge transfer among the tasks and improving generalization performance. Build machine learning models that understand disease progression and identify signaling biomarkers, from multiple data sources, including medical imaging, genotypes, and other clinical information. Develop efficient and effective machine learning techniques to build predictive models and perform computation phenotyping from large-scale electronic medical records. Unsupervised Feature Selection in the Era of Big Data, NSF IIS Core Program (IIS-1714741), Co-PI, PI: Jiliang Tang, 2017-2020. Large-Scale Information Fusion from Multiple Modalities, Office of Naval Research (N00014-17-1-2265), Co-PI, PI: Anil K. Jain, 2017-2020. Structured Methods for Multi-Task Learning, NSF IIS Core Program (MSU Site: IIS-1615597), Leading PI, 2016-2019. Integrating Domain Knowledge via Interactive Multi-Task Learning, NSF CRII Program (IIS-1565596), PI, 2016-2018. Large-Scale Metric Learning, Office of Naval Research (N00014-14-1-0631), Co-PI, PI: Anil K. Jain, 2014-2017. Jiayu would also like to thank Didi Chuxing and VeChain Foundation for research gifts, and NVIDIA Corporation for the donation of GPU cards. Jiayu is supported by Michigan Alzheimer's Disease Center, Unversity of Michigan as a trainee under NIH/NIA center grant P30AG053760, where Jiayu received Isadore & Margaret Mezey Junior Investigator Travel Award in 2017. Jiayu is developing new curriculums at both undergraduate and graduate levels, that incorporate the state-of-the-art machine learning research into classroom. Check out the website for my courses Machine Learning @ MSU. For recent preprints please check out the publication list of ILLIDAN Lab. For the full publication list see Jiayu's Google Scholar. The * symbol indicates that the paper is done when the first author was an intern mentored by Jiayu. Online Active Learning cross Multiple Tasks. Peng Yang, Peilin Zhao, Jiayu Zhou, and Xin Gao. Boosted Sparse and Low-Rank Tensor Regression. Lifang He, Kun Chen, Wanwan Xu, Jiayu Zhou, and Fei Wang. Inci M Baytas, Cao Xiao, Fei Wang, Anil K. Jain, and Jiayu Zhou. Imputing Structured Missing Values in Spatial Data with Clustered Adversarial Matrix Factorization. Qi Wang, Pang-Ning Tan, and Jiayu Zhou. Efficient Large-Scale Fleet Management via Multi-Agent Deep Reinforcement Learning. Kaixiang Lin, Renyu Zhao, Zhe Xu and Jiayu Zhou. Identify Susceptible Locations in Medical Records via Adversarial Attacks on Deep Predictive Models. Mengying Sun, Fengyi Tang, Jinfeng Yi, Fei Wang and Jiayu Zhou. 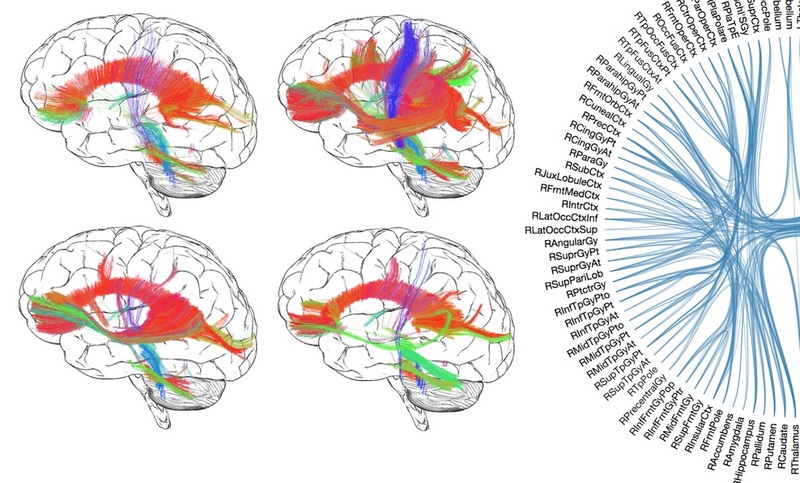 Subspace Network: Deep Multi-Task Censored Regression for Modeling Neurodegenerative Diseases. Mengying Sun, Inci M. Baytas, Liang Zhan, Zhangyang Wang and Jiayu Zhou. Enhancing Predictive Modeling of Nested Spatial Data through Group-Level Feature Disaggregation. Boyang Liu, Pang-Ning Tan, and Jiayu Zhou. Tengfei Ma, Cao Xiao, Jiayu Zhou and Fei Wang. The added value of diffusion MRI in evaluating mild cognitive impairment: a multi-cohort validation. Qi Wang, Lei Guo, Paul M. Thompson, Clifford R. Jack Jr., Hiroko Dodge, Liang Zhan, and Jiayu Zhou. An MCEM Framework for Drug Safety Signal Detection and Combination from Heterogeneous Real World Evidence. Multi-Task Learning based Survival Analysis for Predicting Alzheimer’s Disease Progression with Multi-Source Block-wise Missing Data. Yan Li, Tao Yang, Jiayu Zhou and Jieping Ye. Recurrent Encoder-Decoder Networks for Time-Varying Dense Prediction. Tao Zeng, Bian Wu, Jiayu Zhou, Ian Davidson and Shuiwang Ji. Multi-Level Multi-Task Learning for Modeling Cross-Scale Interactions in Nested Geospatial Data. Shuai Yuan, Jiayu Zhou, Pang-Ning Tan, Emi Fergus, Tyler Wagner and Patricia Soranno. Lu Wang, Yan Li, Jiayu Zhou, Dongxiao Zhu and Jieping Ye. Multi-Modality Disease Modeling via Collective Deep Matrix Factorization. Qi Wang, Mengying Sun, Liang Zhan, Paul Thompson, Shuiwang Ji and Jiayu Zhou. Privacy-Preserving Distributed Multi-Task Learning with Asynchronous Updates. Liyang Xie, Inci Baytas, Kaixiang Lin and Jiayu Zhou. Patient Subtyping via Time-Aware LSTM Networks. Inci Baytas, Cao Xiao, Xi Zhang, Fei Wang, Anil Jain and Jiayu Zhou. Missing Modalities Imputation via Cascaded Residual Autoencoder. Luan Tran, Xiaoming Liu, Jiayu Zhou and Rong Jin. An RNN Architecture with Dynamic Temporal Matching for Personalized Predictions of Parkinson's Disease. Chao Che, Cao Xiao, Jian Liang, Bo Jin, Jiayu Zhou and Fei Wang. WISDOM: Weighted Incremental Spatio-Temporal Multi-Task Learning via Tensor Decomposition. Jianpeng Xu, Jiayu Zhou, Pang-Ning Tan, Xi Liu and Lifeng Luo. 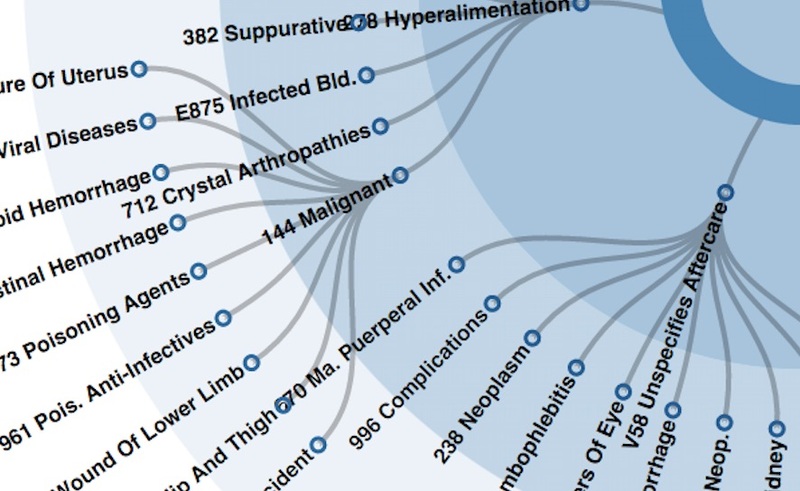 PhenoTree: Interactive Visual Analytics for Hierarchical Phenotyping from Large-Scale Electronic Health Records. Inci M. Baytas, Kaixiang Lin, Fei Wang, Anil K. Jain and Jiayu Zhou. Kaixiang Lin and Jiayu Zhou. Inci M. Baytas, Ming Yan, Anil K. Jain and Jiayu Zhou. Qi Wang, Pinghua Gong, Shiyu Chang, Thomas S. Huang and Jiayu Zhou. Kaixiang Lin, Jianpeng Xu, Inci M. Baytas, Shuiwang Ji and Jiayu Zhou. Discriminative Fusion of Multiple Brain Networks for Early Mild Cognitive Impairment Detection. Qi Wang, Liang Zhan, Paul M. Thompson, Hiroko H. Dodge and Jiayu Zhou. Synergies that Matter: Efficient Interaction Selection via Sparse Factorization Machine. Jianpeng Xu, Kaixiang Lin, Pang-Ning Tan and Jiayu Zhou. GSpartan: a Geospatio-Temporal Multi-task Learning Framework for Multi-location. Jianpeng Xu, Lifeng Luo, Pang-Ning Tan and Jiayu Zhou. Learning A Task-Specific Deep Architecture for Clustering. Zhangyang Wang, Shiyu Chang, Jiayu Zhou, Meng Wang and Thomas Huang. *Shiyu Chang, Jiayu Zhou, Pirooz Chubak, Junling Hu and Thomas Huang. Who, What, When, and Where: Multi-Dimensional Collaborative Recommendations using Tensor Factorization on Sparse User-Generated Data. *Preeti Bhargava, Thomas Phan, Jiayu Zhou, and Juhan Lee. Factorized Bilinear Similarity for Cold-Start Item Recommendations. *Mohit Sharma, Jiayu Zhou, George Karypis, and Junling Hu. Formula: FactORized MUlti-task LeArning for Task Discovery in Personalized Medical Models. *Jianpeng Xu, Jiayu Zhou, and Pang-Ning Tan. *Shiyu Chang, Guo-Jun Qi, Charu Aggarwal, Jiayu Zhou, Meng Wang, and Thomas Huang. Jie Wang, Jiayu Zhou, Jun Liu, Peter Wonka, Jieping Ye. Jiayu Zhou, Fei Wang, Jianying Hu, Jieping Ye. Pinghua Gong, Jiayu Zhou, Jieping Ye. Analysis of Sampling Techniques for Imbalanced Data: An N=648 ADNI Study. Rashmi Dubey, Jiayu Zhou, Yalin Wang, Paul M. Thompson, and Jieping Ye. Jie Wang, Jiayu Zhou, Peter Wonka, Jieping Ye. Jiayu Zhou, Zhaosong Lu, Jimeng Sun, Lei Yuan, Fei Wang, Jieping Ye. Jiayu Zhou, Jun Liu, Vaibhav A. Narayan, and Jieping Ye. Jiayu Zhou, Jimeng Sun, Yashu Liu, Jianying Hu, and Jieping Ye. Jiayu Zhou, Jianhui Chen and Jieping Ye. Jianhui Chen, Jiayu Zhou, Jieping Ye. Jiayu Zhou, Lei Yuan, Jun Liu and Jieping Ye. A job well done is its own reward. You take pride in the things you do, not for others to see, not for the respect, or glory, or any other rewards it might bring. You take pride in what you do, because you're doing your best. If you believe in something, you stick with it. When things get difficult, you try harder.